ATLANTA, GA (MARCH 7, 2018) – Berkshire Hathaway HomeServices Georgia Properties today announced Tonya Jones was honored as a 2017 Top 10 Agent Award winner for Residential Units at Sales Convention 2018 in San Antonio, TX, March 4-6. The Top 10 Agent Award recognizes the Top 10 Sales Professionals in the network for Residential Units. 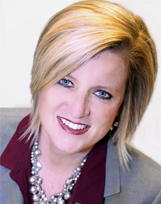 Tonya Jones was ranked Number 2 in Residential Units out of the entire global network of 41,000 Berkshire Hathaway HomeServices sales professionals. Berkshire Hathaway HomeServices Georgia Properties has over 1,650 associates and 26 locations across the Greater Metro Atlanta and North Georgia area. Led by president and CEO, Dan Forsman, the organization offers a full suite of real estate services including residential real estate, luxury real estate, new homes services, condo/ high-rise services, commercial real estate, corporate relocation, property management, mortgage lending, title and settlement services, home warranties and insurance. ® Equal Housing Opportunity. Visit http://www.BHHSGA.com. Berkshire Hathaway HomeServices, based in Irvine, CA, is a real estate brokerage network built for a new era in residential real estate. The network, among the few organizations entrusted to use the world-renowned Berkshire Hathaway name, brings to the real estate market a definitive mark of trust, integrity, stability and longevity. The brand was just recognized for “Highest Overall Satisfaction for Repeat Home Sellers Among National Full Service Real Estate Firms” in J.D. Power’s 2017 Home Buyer/Seller Satisfaction Study. Visit http://www.berkshirehathawayhs.com. © 2018 BHH Affiliates, LLC. An independently owned and operated franchisee of BHH Affiliates, LLC. Berkshire Hathaway HomeServices and the Berkshire Hathaway HomeServices symbol are registered service marks of HomeServices of America, Inc. ® Equal Housing Opportunity . © 2001 - 2018 Reliance Network. All rights reserved. U.S. Reg. Copyright TX-5-910-991, TX-5-910-992, TX-5-910-993, and TX-5-910-994. © 2018 BHH Affiliates, LLC. An independently operated subsidiary of HomeServices of America, Inc., a Berkshire Hathaway affiliate, and a franchisee of BHH Affiliates, LLC. Berkshire Hathaway HomeServices and the Berkshire HathawayHomeServices symbol are registered service marks of HomeServices of America, Inc. ® Equal Housing Opportunity.